← Woo Hoo – Got It Back! 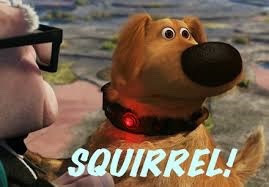 I was at a three night sew-in last week and there was no wi-fi. Time to catch up! L’s senior project is seeing the light at the end of the tunnel. The borders are on, backing and label done. She is now off to a long arm quilter who is going to show her how it’s done. We will then have one more session to do the binding. Her project is already over 30 hours! Our goal is to have it all done before Thanksgiving as she has a special weekend trip she’d like to go to and enjoy. 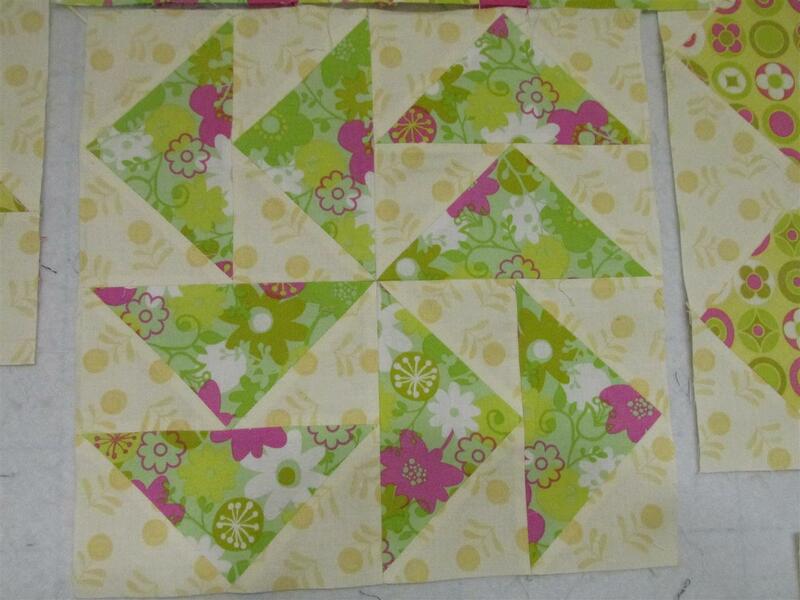 Here are the last blocks of the quilt that I did in my fabrics. 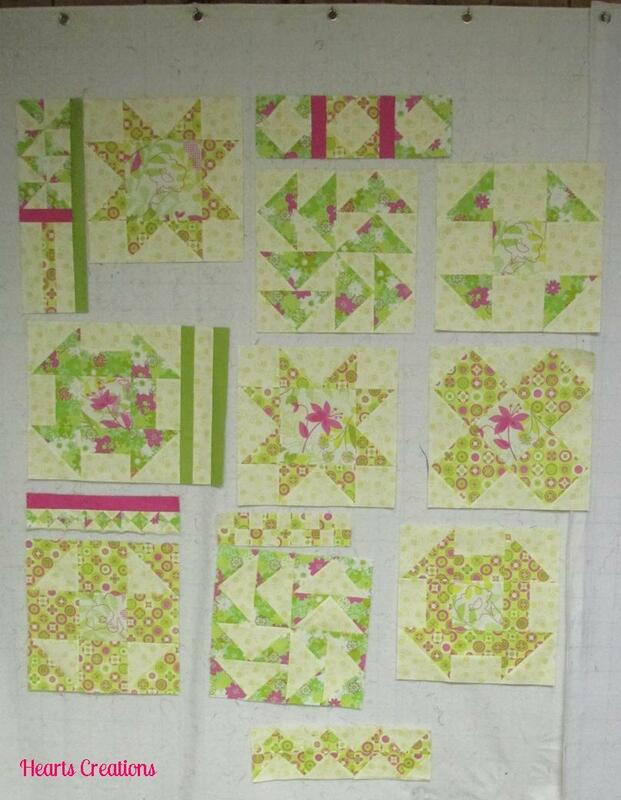 My quilt will have a total of nine blocks and Louisa’s a total of twelve. This was not an easy beginner project. I have all my blocks on the design wall and would like to do a non-traditional setting. Others might go to their computer to lay it out, or grab a pad of graph paper. I started to sketch it and lasted about three minutes. I will wait for a vision. What that really means is that it won’t get done for a while! I am leaving it all on the design wall until the inspiration hits. The good news – I have two design walls! 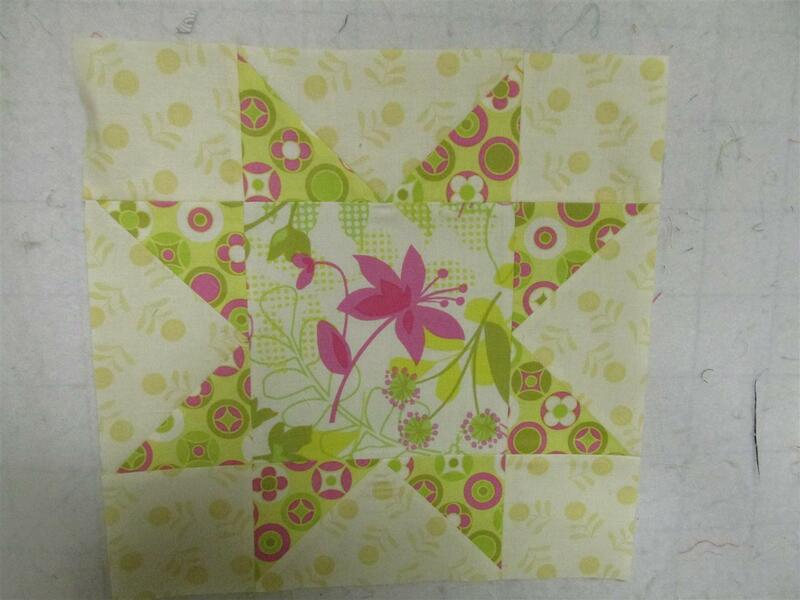 Posted in Design Wall, Quilt Setting, Sampler and tagged Color, Fabric, Patterns. Bookmark the permalink.